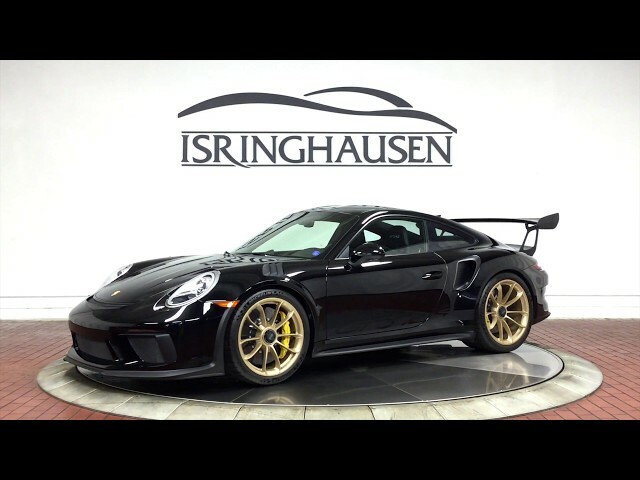 This lightly driven 2019 Porsche 911 GT3 RS with just 321 miles looks absolutely stunning in it's Black on Black configuration with gold RS wheels plus factory options including Ceramic Brakes (PCCB's), Front Axle Lift System, Sport Chrono Package, Bose Surround Sound and more. The ultimate and most track focused Porsche ever built, the 520 horsepower GT3 RS is an experience for the true lovers of motorsports. Contact a Porsche sales specialist today to take advantage of this excellent example by calling 877-362-9715. Isringhausen Imports is Central Illinois' premier new car, used car and certified pre-owned (CPO) dealership for quality BMW, Porsche, Volvo and Mercedes-Benz vehicles. At Isringhausen Imports, we have become a leader in the industry by working each day towards the greater good of our customers, our fellow employees, and our community.